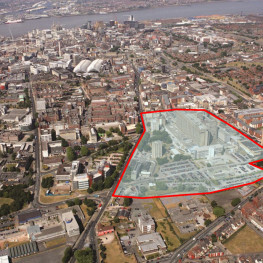 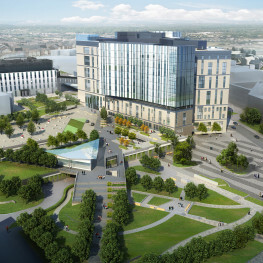 As part of the winning Carillion team we have delivered a masterplan for the Liverpool Health Campus development and the new Royal Liverpool University Hospital to initiate the re-generation of this part of Liverpool's city centre that had suffered from long term decline. 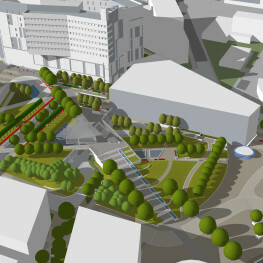 The redevelopment of the site during the 1970’s had led to poor urban design and public realm. 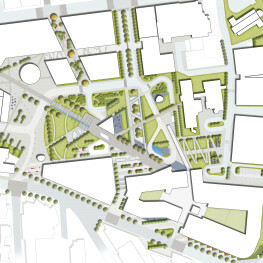 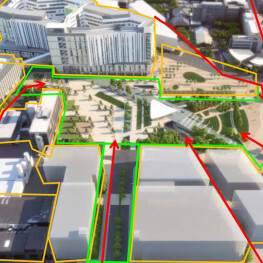 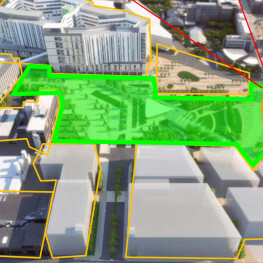 By careful and thorough analysis we have been able to re-create the fine grain of the historic city pattern, reinstating built edges to city blocks, introducing permeability and new pedestrian routes connecting the Hospital with the University and city centre. 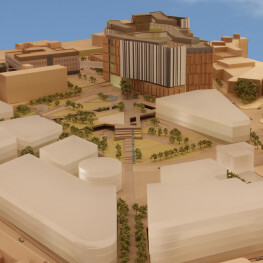 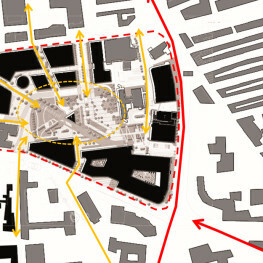 The location of the new hospital acts as a gateway marking the start of the city and the Knowledge Quarter.